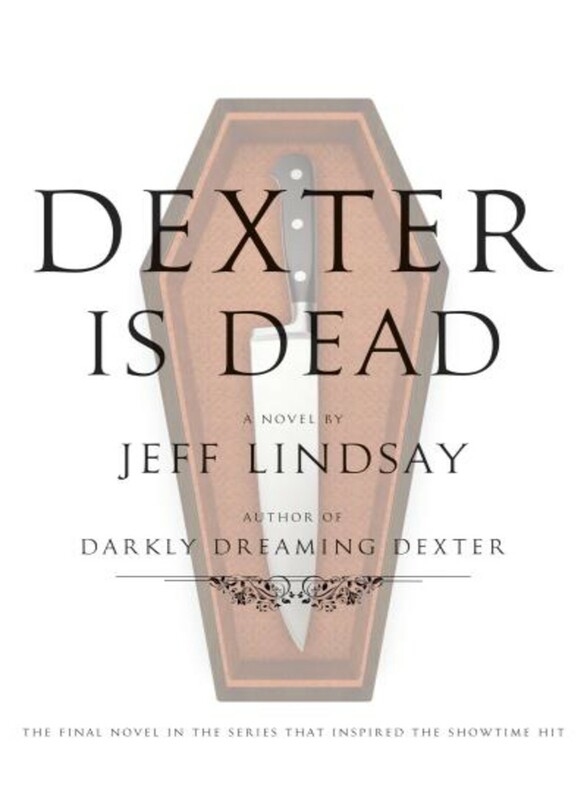 I just found out there was one more book coming out in the Dexter series by Jeff Lindsay, Dexter is Dead. I rather thought that Dexter’s Final Cut was going to be the last book. I thought I would take this time to talk about the supernatural/paranormal/fantasy element of the series, the Dark Passenger. The Dark Passenger is an entity which inhabits many or most serial killers, or perhaps all. It seems that in the Dexter-verse, childhood trauma is a rather reliable attractor to Dark Passengers. Dexter and his brother Brian both witnessed the murder of their mother, at the ages of 3 and 4 respectively. Both got Dark Passengers and became serial killers. Dexter’s stepkids Astor and Cody, both traumatized by their abusive father, also have Dark Passengers. Dexter expects that Cody will grow up to be a serial killer but in Dexter’s Final Cut seems to think Astor will settle for being a ruthless corporation type, since girls are different. I don’t know whether there is a protest movement yet to destroy Jeff Lindsay for the thoughtcrime of admitting there’s a difference between the sexes. The Dark Passenger can be recognized by other people who are hosts to Dark Passengers. Sometimes this doesn’t happen on first meeting. Dexter wasn’t aware that Astor and Cody had Dark Passengers until he witnessed Cody ruthlessly stabbing a fish that he’d caught. Each Dark Passenger seems to inhabit one person. It directs Dexter’s killing pattern— when he’s gone without killing for a while, Dexter’s Dark Passenger gets restless. Sometimes at a crime scene, the Dark Passenger flaps invisible bat-like wings to let Dex know that a particular crime is something to pay attention to— the work of a serial killer, someone Dexter needs to pay attention to. The Dark Passenger seems to be a secularized version of a demon. It can leave its host. That happened to Dexter in one book. Dexter still wanted to kill without his Dark Passenger, but was not able to. I’ve wondered whether Dexter’s desire to kill at that time was more force of habit than anything. Or perhaps Dexter would have killed if he had never had a Dark Passenger to call his own, and Dexter was just missing his usual invisible partner in crime. One of the Dexter books gives some info on an entity which is the father of all Dark Passengers. This entity tells of his witnessing the evolution of life on Earth, its love of witnessing creatures killing one another, and its preference for inhabiting human beings once they came along. The entity realized that it could initiate more killing by inducing humans to regard him as a god— such as Moloch– and encouraging human sacrifice. In Miami Moloch even convinces his followers to create a great metal bull statue to use in the sacrifices. You’d think Moloch, who preferred infant victims in his historical incarnation, would have been more than satisfied by the killing at Florida’s abortion mills, but I guess he liked a varied diet. The interesting thing is, while Dexter is aware of his Dark Passenger and even at one point wonders if it is a demon, he for the most part mocks other characters’ beliefs in any form of the supernatural or in religion. But then I guess we are all blind to our own favorite lapses in logic. Have you seen the commercials for the new milk called ‘Fairlife?’ If you did, you must know there are a couple of things that the commercial won’t tell you. Number one is that Fairlife is also available in healthy whole milk instead of just the fat-reduced versions they show on TV. Second is that the filtering process that Fairlife brags on reduces the carbohydrate in the milk. Regular whole milk is 12 grams of carbs per cup. Fairlife whole milk is 6 grams per cup. One of the big things I’ve missed about my low-carb/ketogenic diet is that I can’t have milk because of the high carb level. There used to be a ‘Carb Countdown dairy beverage’ but first they eliminated the healthy whole milk version, and then it disappeared altogether. I’m mystified as to why Fairlife doesn’t mention the carb factor. Is it that the government is getting more heavy-handed about its view that low-fat dieting is the only permissible kind of dieting, and Fairlife feared interference? Or is it just that Fairlife’s part of the Coca-Cola company which sells so many high-carb soft drinks? At any rate, Fairlife’s brought milk back into my life. In much moderation, of course. It’s so much better than the heavy-whipping-cream-plus-water that I had been using as a milk substitute. I got my most recent bottle of Fairlife at Walmart. It was three-dollars-plus at Walmart, while it was five-dollars-plus at the local grocery chain Angeli’s. 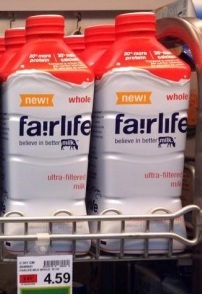 When buying Fairlife be sure and look for the milk in the red packaging, which is the healthy whole milk. And avoid the chocolate milk! If you like chocolate milk, add your own sugar free chocolate mix. I got on the low-carb/ketogenic diet because of the scientific studies that showed that it helps out with certain of my health problems, particularly diabetes. But as a writer, I’m also intrigued by the fact that the ketogenic diet seems to help people with Alzheimers. If it helps the brains of Alzheimer patients work better, it might help mine. And brains are important in writing. Especially if you write about zombies. Western civilization: I’m going to miss it. I think we all are, including those who celebrated a tragedy by pasting rainbow symbols all over the internet and bullying those who wouldn’t do likewise. No matter how much a person hates Western civilization, Christianity, the Catholic faith, man-woman marriage, and the family, we all depend on these things. When you need help, who will you turn to when Christian charity has been mocked, regulated, and punished out of existence? When you are old and need young people to pay in to your pension fund, to mow your lawn and to provide skilled nursing care when you need it, what will you do when your society values children so little that there are no longer enough people to help the aged— and no moral law telling those young people why they should. In Pagan Rome, people were allowed to kill their slaves— by crucifixion— for any real or imagined misdeed. The father of a household could demand that a newborn baby of that household be killed by ‘exposure’— taken out and abandoned. Gladiatorial games grew out of a custom of having two slaves fight to the death at a funeral to provide a sort of human sacrifice in honor of the dead man. Later in Rome, the emperor was declared a god, and people who for religious reasons could not give the emperor-god worship when asked to do so were executed in the arena for the entertainment of the masses. This is how it was before Christianity civilized the Western world. What will it devolve to when the people with power are so definitively rejecting Christianity— along with human biology, logic and common sense? But there is good news among the depressing stuff. The last time the Supreme Court made a decision this evil, people said everyone would accept it and the opposition would melt away or die off. On the fortieth anniversary of the Roe v. Wade and Doe v. Bolton decisions, the March for Life was bigger and stronger than ever, and it was frequently remarked how many young people were getting active in the prolife movement. I predict the same thing for this new decision. Human biology will not change. 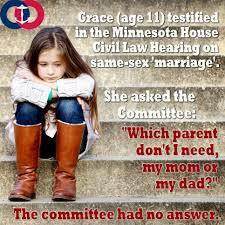 The teachings of the Bible and the Church can not change. And Christianity has endured far worse than this and rather than disappearing, it has grown stronger. This is a post for the Birth of a Novel blog hop. I have not been as diligent with writing poems and working on short stories this week, although I did get some writing done. I wrote one sijo poem called No Storm Flags Allowed, which I think has potential. After finishing my short story The Skin Shirt, I wasn’t really sure what to work on. I’ve started a new story about a government regulation that requires everyone to give up their paper books and replace them with ebooks. But I’ve also started a rewrite of an old short story that I finished over a decade ago. It’s hard to decide which one to go with. I gave both authors the link to my free ebook ‘surly petunia’, a 23 page sampler of some of the poetry I’ve written. It includes some of my weirdest poems— such as ‘alien invasions and the love of lawn furniture’, ‘fat Buddhist spider’ and, of course ‘surly petunia’ itself. Also it includes ‘Wings: Still Life with Asperger Syndrome’. 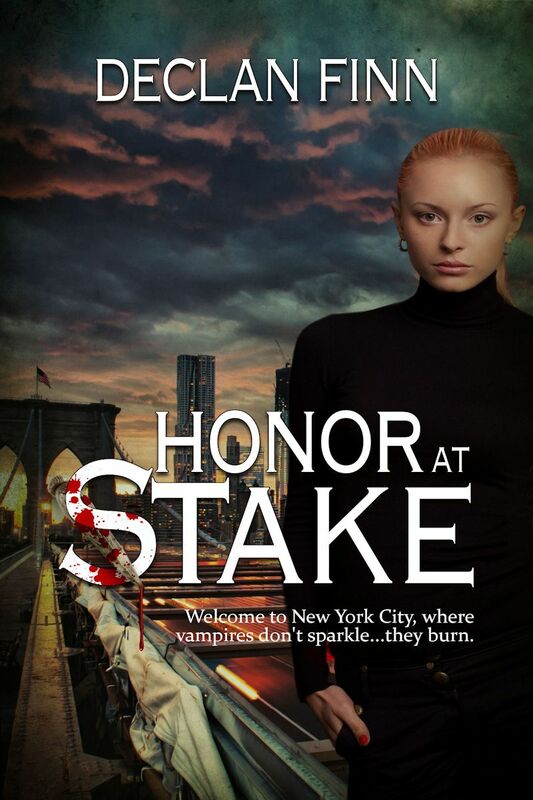 I’m hoping that now that two authors whose books I have reviewed have a chance to read the book, I may soon get my first review on Amazon or Goodreads. I’m hoping for a few reviews because I’ve decided not to come out with my next small poetry volume until I get at least one review. That one is going to be called ‘Waiting for the Poison Shot’. I have not finalized what poems will be in that one. I already have a book cover designed, though. So, while I didn’t get a lot of words-on-page this week, I am getting some stuff done towards my career as America’s Weirdest Poet. Mama kitty Umberto with her kitten, and a few freeloaders. Life’s crazy with 10 barn kittens from 3 mamas in the house. 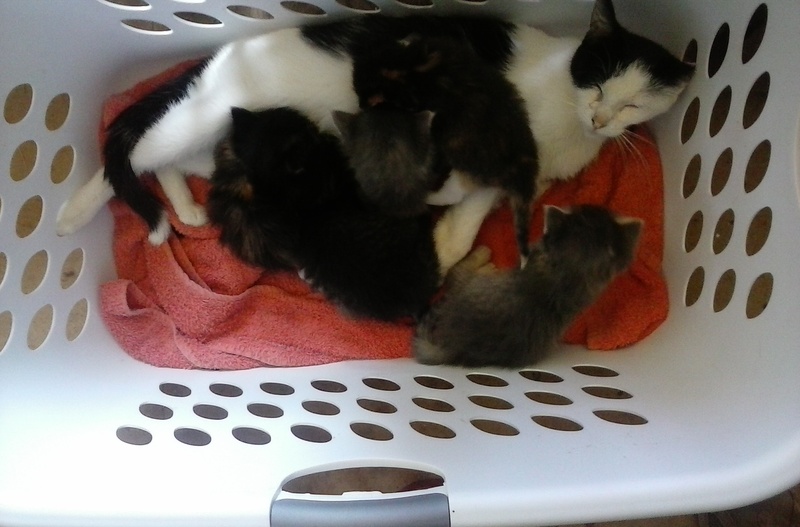 Mother of 4, Consubstantial 2, was brought in and hissed at everybody, including her 4 babies. But Umberto, mother of an only-child kitten, Norbert (a girl), decided more kittens was just what she needed so she adopted all 4, and I let Connie 2 back outdoors. One of the kittens is a calico, like Norbert. I’m trying to resist the temptation to name her Hagrid. Meanwhile, Consubstantial 1, mother of 5, is annoyed to find that one of her tiny kittens has already learned to escape the kitten box. She has not yet noticed that one of the group-of-4 kittens is jumping in her kitten box and nursing from her with the rest of the tribe. Without Christians, Who Would Forgive You? Mostly the news media today portrays Christians as ‘haters’ for not supporting things such as abortion, euthanasia, adultery as a Constitutional right, and faux gay ‘marriage’. But have you ever thought about how much more savage our society would be without Christians sharing their belief in forgiveness? Kirsten Powers has an article in USA Today: Christians forgive the unspeakable. It’s inspired by the people who lost loved ones in the Charleston church shooting who have expressed forgiveness to the shooter. But it’s not just that one incident. Since the Early Church, Christians who are serious about their faith have felt an obligation to follow the example of Jesus Christ, who prayed that the men responsible for his crucifixion would be forgiven. That’s the ultimate in forgiveness— forgiving those who are currently murdering you. But many Christian martyrs have done the same thing. We don’t all commit mass shootings, and the only people who do crucifixions these days are ISIS terrorists. But we ALL have done something to other people that wasn’t right or kind. Any one of these things could lead to quarrels or even violence. But the example of Christian forgiveness can teach people— even non-Christians— how blessed it is to forgive. 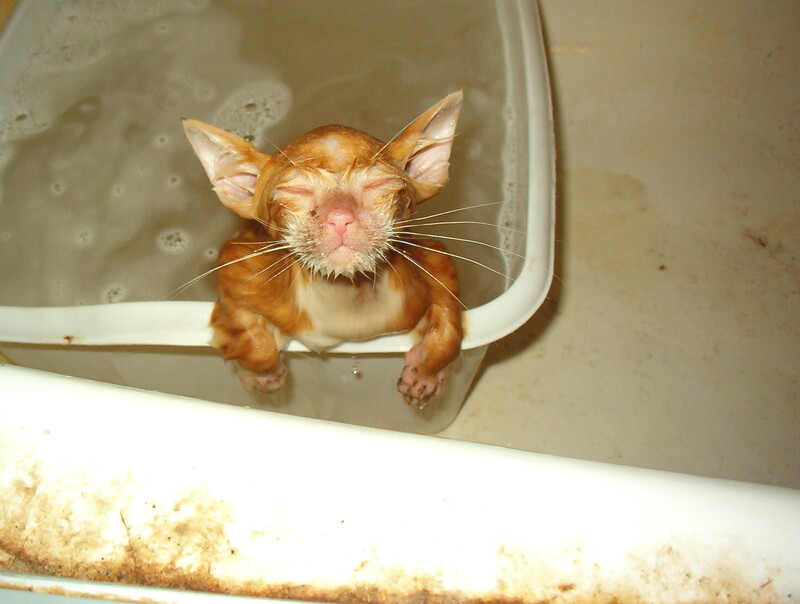 Kitten Therese being bathed. Not Happy. From unpublished writers to bestselling authors, all writers tend to spend some time in the land of Not-Good-Enough. Even Stephen King has insecurities, and they are not about his antichristianism. How do you deal with the inner voices that tell you that you— and your writing— are No Darn Good? That tell you that you are a fraud or a dilettante, that you can never write to the level of the authors you admire? I think we need to face up to our Not-Good-Enough feelings. First, write down a list of the negative self-talk that runs through your brain while in Not-Good-Enough land. For me, there is the ‘you never finish anything’ that I got from my parents, at which time it had nothing to do with writing. Also there is the ‘you have Asperger’s Syndrome, you are not REALLY clever at all in spite of your IQ, writing for your kind is HOPELESS’. Then, go through your list for things you can do something about. If you are worried about your spelling and grammar, start a program to learn these things. If you feel you are not well read, start a reading program of great literature. The thing to remember is that you are in charge of your writing life, not that part of your mind that keeps repeating the Not-Good-Enough stuff. You can be a writer— if you are willing to put in the effort to write and to build up your skills. Fortnight for Freedom— a time of fasting and prayer for the restoration of Religious Freedom in the USA. Poem shared at Poetry Pantry #257 at Poets United (which is not, actually, an English football team). The poem this week is in Esperanto. This was inspired by a suggestion in Sandford Lyne’s Writing Poetry From the Inside Out, that foreign-born poets translate the keywords into their own language. No, I am not a native of the mythical Esperantujo [Esperanto-land] nor is Esperanto my native language. But I love playing with words and I don’t always care what language I get them from. The Esperanto poem contains a word play that cannot be translated. Esperanto uses a lot of affixes— suffixes and prefixes— to build words. One common affix is -in- which indicated female gender. So— hundo is dog, and hundino is a female dog. The word for ‘tambourine’ is tamburino, which reminded me that the word for drum is tamburo. One could interpret the word tamburino as ‘female drum’ although the -in- in tamburino has nothing to do with female gender. But I took the interpretation of tamburino as female drum and ran with it. I am a convert to the Catholic faith. (Yes, I know that gay women are supposed to LEAVE the Church, not join it. I’m independent that way.) And so when the Catholic bishops announce an annual period of prayer and fasting for religious freedom, and my Catholic internet buddies participate, I mark the occasion on my blog. A lot of people don’t get why religious freedom is an issue for Catholics (and others) because many people don’t know what religious freedom is. There have been political figures who’ve called on Catholics and other Christians to change their basic beliefs and replace their Bibles with rewritten versions that conform to the politicians’ core beliefs. And yet they don’t admit that what they are doing erases the traditional concept of religious freedom. 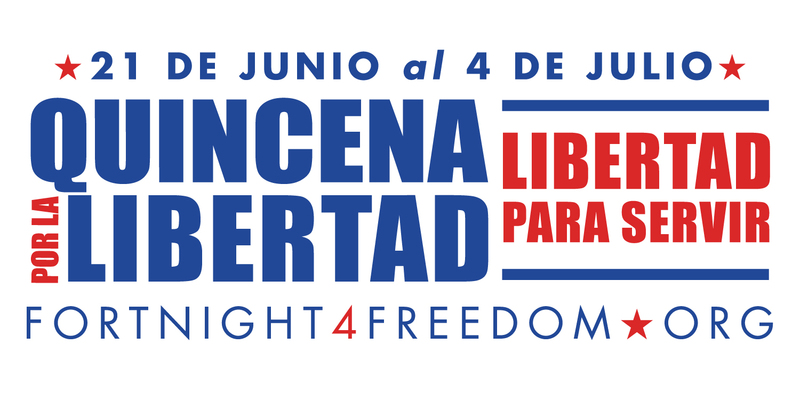 This blog will be covering the Fortnight for Freedom. I’m hoping to blog each day about it, and also include links to other people’s Fortnight for Freedom blog posts. Goodreads poetry group Poetry Readers Challenge: https://www.goodreads.com/group/show/28172-poetry-readers-challenge Group encourages members to read and review 20 poetry books a year. If you have a poetry book of your own out, you perhaps know how vital it is to get the book reviewed on Goodreads and Amazon.com. This group makes it easier for that to happen.